Our Italian Masters in Vienna program calls for chamber choir, vocal soloists, and a period instrument ensemble. The music features virtuosic performances from pairs of strings and cornetti players. We are pleased to welcome these fabulous musicians. With their ensemble Agave Baroque, violinists Aaron Westman and Anna Washburn have performed Bertali’s instrumental music several times. Aaron writes:"Like much of the music of the era of the Thirty Years' War, and from the melting pot of cultures and musical styles in Vienna, Antonio Bertali's writing is an amazing mashup of very serious church music with absolutely unhinged fiddle playing. Along with his successor, Johann Heinrich Schmelzer as well as Heinrich Biber, it is just about my favorite violin music to play!" To hear some examples of Bertali’s instrumental writing, go to Agave Baroque and click on “Friends of Ferdinand.” The title of the recording refers to Ferdinand I and II, Hapsburg Holy Roman Emperors, and five composers at their courts. Aaron Westman (violin) was a “metal-head” while growing up in California. He now plays the electric guitar of the 17th century, and has been described as a “brilliant virtuoso” (Early Music America), “very impressive” (American Record Guide), and an “expressive and virtuosic” (SF Classical Voice) violinist and violist. Since 2005, Aaron has performed with most of the major baroque ensembles in California, and toured extensively. Aaron works with Archetti, American Bach Soloists, Bach Collegium San Diego, California Bach Society, El Mundo, LA Master Chorale, Musica Angelica, Tesserae, the New Hampshire and Hawaii Performing Arts Festivals, Wiener Akademie, SF Opera, and regularly since 2006 with Philharmonia Baroque. Aaron co-directs Agave Baroque, Live Oak Baroque Orchestra, Sylvestris Quartet, and Santa Rosa Symphony’s Young People’s Chamber Orchestra. He has taught at CalArts and currently teaches at Mills College. Anna Washburn (violin) grew up fiddling in the beautiful state of Maine and now calls the Bay Area home. She performs and records on period violin and viola with Philharmonia Baroque Orchestra, Bach Collegium San Diego, Musica Angelica, Agave Baroque, Live Oak Baroque Orchestra, MUSA, and Marin Baroque. In addition to her devotion to period performance, Anna also appears on stage with a variety of ensembles, from recording and performing with pop-orchestra Magik*Magik Orchestra with artists like Sting, Chicago, John Vanderslice, Third Eye Blind, The Dodos, Hauschka and Dustin O’Halloran… to hip hop/opera group Ensemble Mik Nawooj… to the Commonwealth Club’s series “Music Matters,” in a multi-part lecture series on Mozart…to performances with Symphony Silicon Valley, San Jose Chamber Orchestra, Monterey Symphony, and Stockton Symphony. 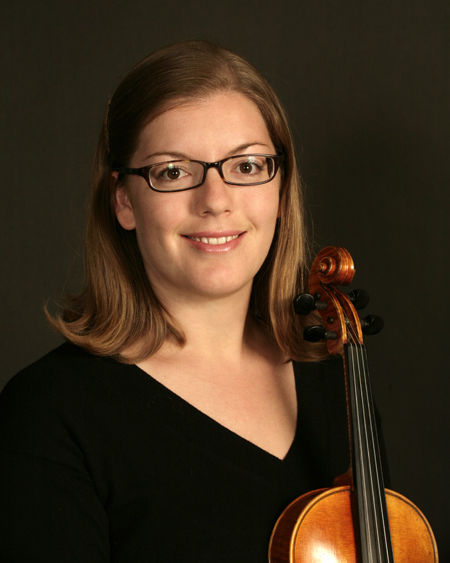 Anna has studied with Bettina Mussumeli, Elizabeth Blumenstock, and Peter Zazofky, and has degrees in violin from the San Francisco Conservatory of Music and Boston University. Alex Opsahl (cornetto) studied recorder with Peter Holtslag and Daniel Bruggen at the Royal Academy of Music, graduating in 2004 with First Class Honors. She went on to study cornetto privately in Italy with Bruce Dickey, continuing these studies at the Schola Cantorum Basiliensis. She was the winner of the 2003 Moeck Solo Recorder competition, the 2001 and 2003 RAM Early Music Prize and 2003 Hilda Anderson Dean Award. She works now both as a cornettist and recorder player across Europe and North America. Alex has performed with the Amsterdam Baroque Orchestra under Ton Koopman, the Orchestra of the Age of Enlightenment, Apollo’s Fire, the Green Mountain Project, Le Studio Musique Anciennes de Montréal, Cappella Artemisia, Musica Angelica, The Whole Noyse and American Bach Soloists. She has performed at the Berlin Philharmonie, Wigmore Hall, Purcell Room and the Royal Albert Hall, and played in filmed productions ofL’Incoronazione di Poppea with both Oslo Opera and Glyndebourne Opera. She recorded Vivaldi’s Concerto in C Minor, RV 441, with the Norwegian period orchestra Barokkanerne, and recently recorded the JD Berlin cornetto concerto with the Norwegian Baroque Orchestra. Alex is a member of the Dark Horse Consort, and is the Music Director of LA-based ensemble Tesserae. Steve Escher (cornetto) studied in Bologna with cornettist Bruce Dickey and is a founding member of the Renaissance wind band The Whole Noyse. After receiving a B.A. degree at Luther College, Stephen Escher did post-graduate work at the University of Iowa. He has performed with numerous period ensembles across the U.S. and Canada, as well as in Mexico and Europe. Steve has made two recordings in London with Andrew Parrott and the Taverner Players for EMI and can also be heard on recordings with the Vancouver Cantata Singers, American Bach Soloists, Magnificat, Angelicum de Puebla and The Whole Noyse. Joining the chorus for these works, and also singing gorgeous solo sections interwoven throughout, are eight talented singers. Soprano Caroline Jou Armitage is known to Bay Area audiences for her “absolutely beautiful” performances sung with “pitch-perfect clarity and affecting intensity” (San Francisco Classical Voice). She is well-known to our audiences as a featured soloist with CBS, where she has performed Handel’s Dixit Dominus, Bach’s Cantatas BWV 21 and 198, Bach’s Mass in G Major, and Respighi’s Lauda per la Nativita(role of Angel). As an early music interpreter, she has presented a concert of Handel opera arias and duets with contralto Karen Clark at the 2018 Berkeley Festival and Exhibition. Caroline has appeared as a soloist with the Amherst Early Music Festival in Carissimi’s Jephte, Caldara’sIl giuoco del Quadriglio, and excerpts of Roman de Fauvel, directed by Benjamin Bagby (Sequentia). We welcome soprano Christa Pfeiffer in her first performance with CBS. She has a diverse repertoire of over 100 works, ranging from Baroque to contemporary. San Francisco Classical Voice wrote that her voice was “like balm to the ears,” and that her “artistry elevated the performance.” Recent credits include the title role in Handel’s Rodelinda, Bach’s Christmas Oratorio, Haydn’s Creation, the roles of Dido (Dido and Æneas) and Galatea (Acis and Galatea), Barber’s Knoxville: Summer of 1915, Mahler’s Symphony No. 4, and Ravel’s Chansons Madécasses. She has appeared with American Bach Soloists, American Philharmonic Sonoma Country, Berkeley Symphony, Blue Hill Bach (Maine), Philharmonia Baroque Chorale, San Francisco Ballet, Festival Opera, Livermore Opera, ChamberMix, and Marin Baroque. Tim Silva, tenor, is a proud native of the East Bay. When he's not making art, he's playing with plants. He appeared as a soloist with the California Bach Society at last year's Berkeley Early Music Festival. He sings regularly with Gaude and Volti. After seven years teaching classroom music, Tim now serves as music director for the Throckmorton Theater Chorus and as assistant conductor for the Piedmont East Bay Children's Choirs. An active collaborator and versatile performer, he has performed and/or recorded with Artists' Vocal Ensemble, Briget Boyle, Chalice Consort, Foreignfire, Iron Henry, Katy Stephan, Kronos Quartet, Marin Symphony, Michael Bang, Nick Hours, ODC/Dance, Russian National Orchestra, San Francisco Choral Artists, and others. 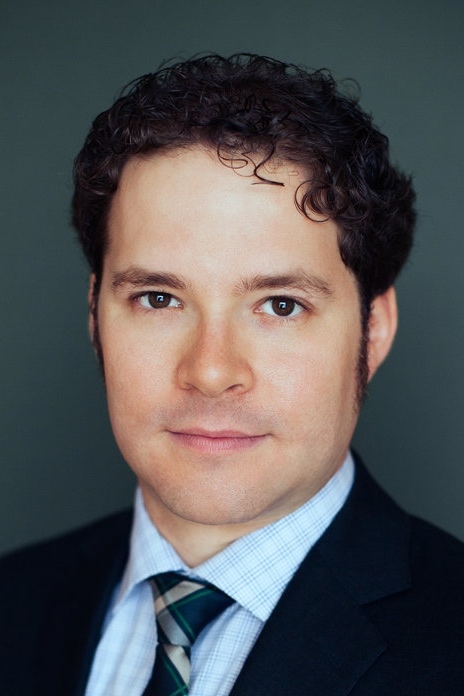 For the past decade, tenor David Taylor Siegel, has been performing with a wide variety of amateur and professional choral groups throughout the Bay Area, including the California Bach Society, Lacuna Arts, Schola Cantorum San Francisco, and the Chalice Consort. Prior to that, he appeared with a number of New York City-based choral ensembles, such as the New Amsterdam Singers and the Dessoff Choirs, performing in Lincoln Center and Carnegie Hall, among other venues. David also serves as vice president and member of the board of directors of the California Bach Society. When not singing, he practices corporate and startup law in Cupertino. The grandson of a lifelong church musician, baritone Adam Cole studied as an organist with Robert H. Murphy at Interlochen Arts Academy and Paula Pugh Romanaux at Kalamazoo College before turning his focus to voice. A member of the American Guild of Musical Artists and currently in his thirteenth year with the Grace Cathedral Choir of Men & Boys, Mr. Cole has sung and recorded professionally with the San Francisco Symphony Chorus, Cappella SF, American Bach Soloists, Grace Cathedral, Volti, AVE, Schola Cantorum SF, Chalice Consort, SF Concert Chorale, SF Renaissance Voices, and Pacific Collegium. When not singing for audiences or exploring mountain trails, Mr. Cole enjoys recording popular music covers and creating composite virtual choir recordings of his favorite masses, motets, and folk songs. Clayton Moser, bass, was born and raised in Charleston, South Carolina, and grew up in a rich choral music environment. He is actively involved with multiple choirs on both coasts including Gaude, Cappella SF, the San Francisco Symphony, and the Taylor Festival Choir in Charleston, South Carolina. Clayton came to California to pursue a Master’s Degree in Composition at the San Francisco Conservatory of Music, where he studied with Dan Becker. He appeared as a soloist with the California Bach Society at the 2018 Berkeley Early Music Festival. Clayton believes music has a great restorative power for the human psyche and is an active sound healer. He holds a certificate in Sound, Voice, and Music Healing from the California Institute of Integral Studies.